Transportation commodity:explosive,detonator,Item No. : 1.1D,1.1B. 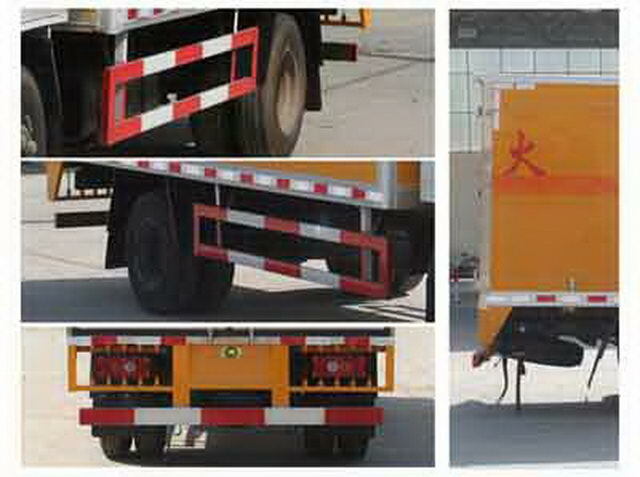 Closed compartment at the top of the box can not be opened,In front of the right side billing option,side,After the material of the protective deviceQ235Acarbon steel,Side protection and bottom of box body welded connection,After the protective device and the frame are welded connection,Rear section size(mm):100*50,Off the ground430mm. 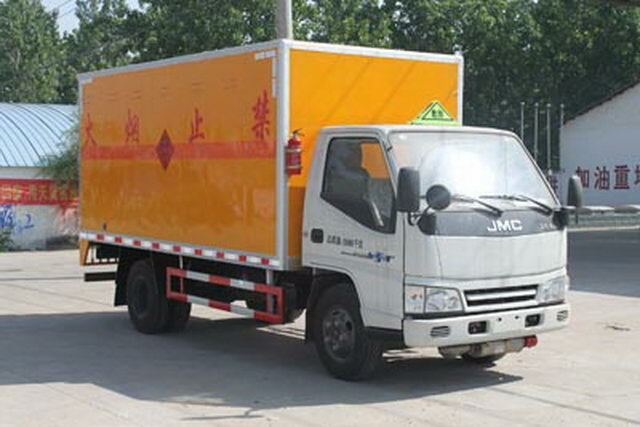 The car chassis with optional cab, Front exhaust pipe structure for mounting chassis,Install front wheel disc brake,Installation of radial tires and beltsABSChassis. 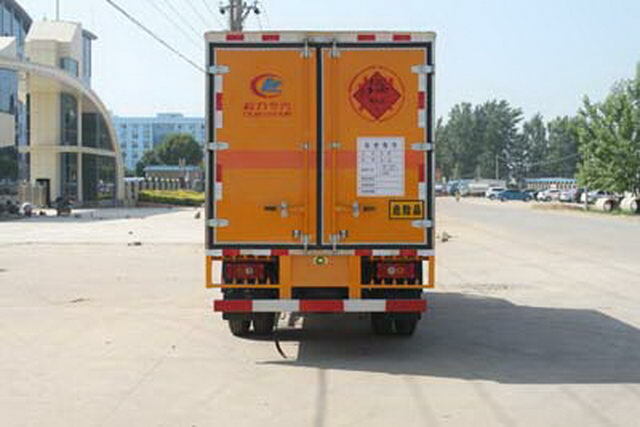 Vehicle traveling data recorder with satellite positioning function.ABSSystem manufacturer/Model: Zhejiang Asia Pacific Mechanical and electrical Limited by Share Ltd/355080020. EngineJX493ZLQ4,Fuel consumption value (L/100km) :13.32.